THERMALTRONICS TMT-PH200 preheaters are infrared heaters designed for PCB heating before soldering. 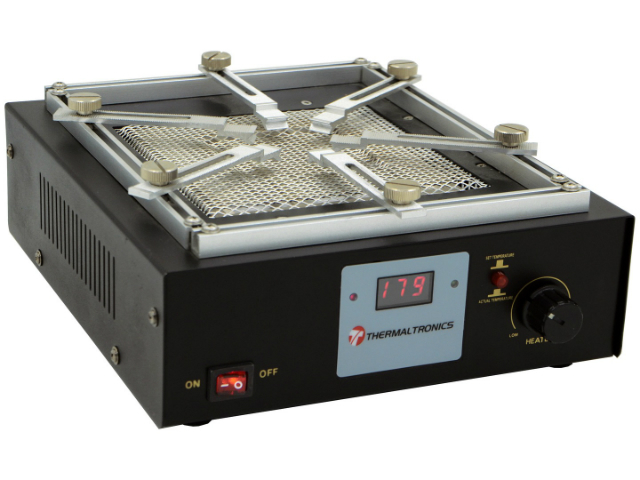 TMT-PH200 are equipped with high quality quartz heaters and electronic controller. It ensures even temperature distribution, prevents deformation of PCBs, and reduces the risk of component overheating. appropriate for both lead and unleaded technologies.